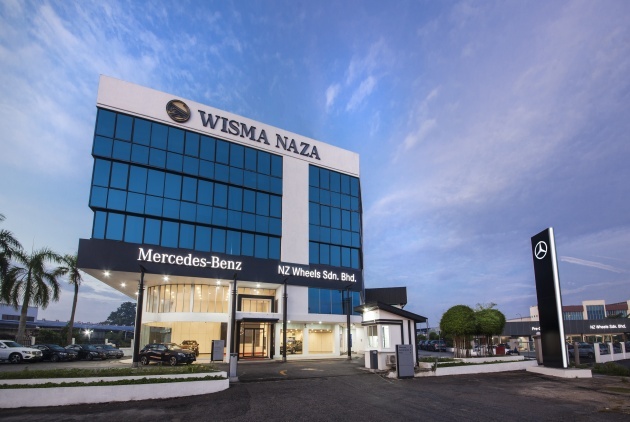 Mercedes-Benz Malaysia has launched the NZ Wheels Klang Autohaus 3S (sales, service and spare parts) facility, which has been given a RM6 million upgrade to the marque’s latest iteration of its global corporate identity. The outlet has been among the earlier Mercedes-Benz dealerships, being operational in Klang, Selangor since 1994 and is the third-largest Mercedes-Benz authorised dealership in the country. Now, NZ Wheels Klang Autohaus is the first in the country to include a separate facility for a Mercedes-Benz Proven Exclusivity centre, where customers can sample certified pre-owned Mercedes-Benz vehicles. “As we remain focused on providing our customers with the Best Products and Best Customer Experience, we will also continue expanding customer touchpoints nationwide, investing in developing key areas including talent, technology, production and services,” said Mercedes-Benz Malaysia president and chief executive officer, Dr Claus Weidner. Comprising 32,000 sq ft of total built-up area residing on 320,000 sq ft of land, the NZ Wheels Klang Autohaus has provision for up to 17 vehicles in its showroom, including three at the AMG Performance Centre for Mercedes-AMG products. Aftersales is supported by a service centre with 30 work bays for handling up to 650 vehicles a month, with approximately 70 personnel across its sales, technical services and spare parts divisions. The NZ Wheels Klang Autohaus features an i-Showroom, which includes digital touchscreens for customers to gain a better understanding of Mercedes-Benz product features and sales processes. This outlet in Klang is also outfitted with a private Star Lounge, as well as Service Differentiation – personalised after-sales services which include pick-up and drop-off of customers’ vehicles, after-hours drop-off and fast-lane service. The NZ Wheels Klang Autohaus is one of seven such Autohaus locations in Selangor, and is part of 33 dedicated dealerships nationwide.